Transit App for iPhone has been updated this morning to launch service alerts, so now you’ll be informed of any disruptions when you’re on the move. As the app is developed in Montreal, it only makes sense the latter is supported out of the gate, to go with Toronto as the first Canadian cities to get service alerts. In the U.S., Boston, New York and San Francisco are the major cities that are also included for service alerts. Has the subway stopped running? Has your bus stopped running? Has everything stopped running, except for blood racing through your veins as you sprint to work? For those times when transit disruptions are putting an unexpected #swerve in your day, we’ve got the antidote. Users can also choose how often they want to receive service alerts, with options for: Never, Commute Hours Only or At All Times. 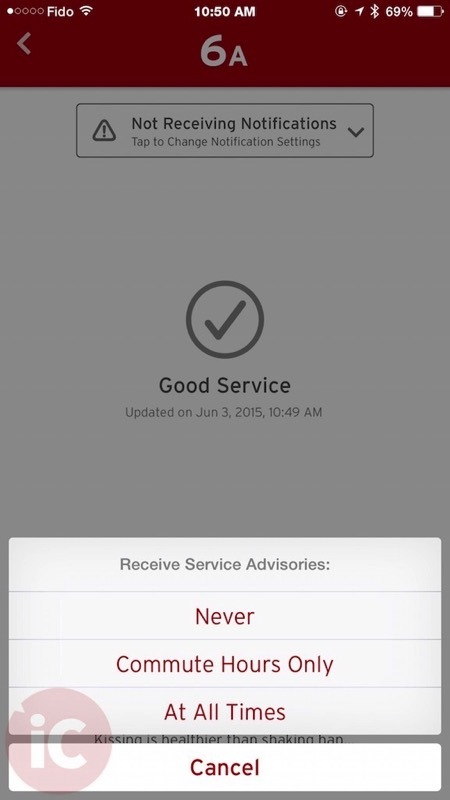 To access service alerts, tap on the (!) icon on your route. Let us know how you like this update! Click here to download Transit App for iPhone in the App Store—it’s free. 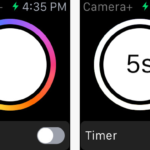 The app also supports Apple Watch.